The new Apple Watch Series 2 may have a lot of new features, but it’s still missing a camera—and there’s no indication that Apple is planning to incorporate a camera in future iterations of the Apple Watch design. 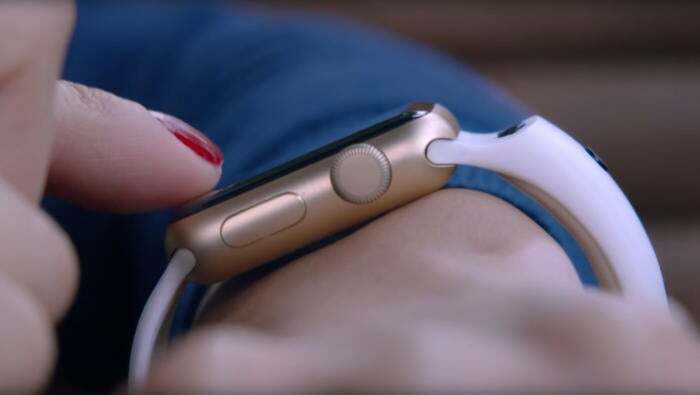 But you can still use your Apple Watch to take photos and video calls thanks to a new camera-equipped band. The team behind video chat app Glide has created the CMRA band to enable photo-taking and video calls on the Apple Watch. CMRA has two cameras—a 2-megapixel front-facing cam for selfies and FaceTime-style video calls, as well as an 8MP camera facing out so you can take pictures on-the-go without having to use your iPhone. CMRA is available for pre-orders starting Wednesday for $149, and the band is expected to ship in Spring 2017. You can get it in one of four colors: black, white, blue, and grey. 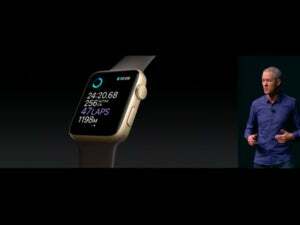 The band has 8GB of built-in storage, and it uses the Apple Watch as a viewfinder. Although you can continue taking photos and videos using the band’s shutter even if the Apple Watch is off or out of battery. In fact, CMRA’s charging dock was designed to charge the band and your Apple Watch simultaneously, so you won’t require an additional charging setup. 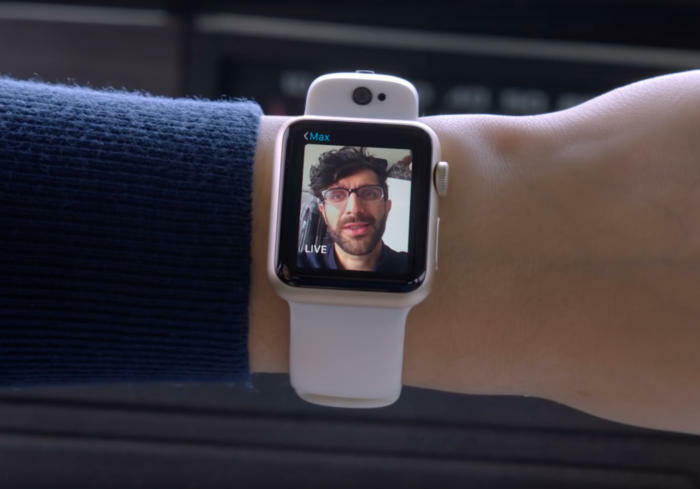 You will need the Glide watchOS app in order to conduct video calls with CMRA. It makes sense that the startup’s first hardware product is intended to boost its software offerings. You can also pair the band to your Watch in order to share photos and videos instantly on social media. You can also use CMRA for live-streaming. The band requires the latest watchOS 3 and iOS 10 to conduct these capabilities. Why this matters: It has proven challenging to add new hardware features to the Apple Watch without sacrificing battery life. Previously, Apple opted out of including cellular connectivity because the cell chips drained the battery too quickly, and those sensor-equipped “smart bands” we heard about a while back have yet to be unveiled. Thankfully, third-party manufacturers are helping fill this void by creating compatible bands that can perform additional functions. 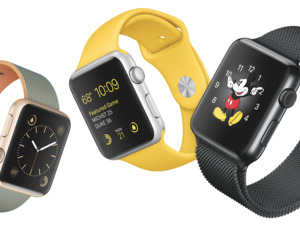 Just like with different-styled bands, this makes the Apple Watch more customizable in terms of the type of wearable functionality each person wants to add to it. But, of course, with each additional accessory comes an additional price tag.